Andrea Campbell is one of two city councilors leading the inquiry into candidates for the nine-member Community Preservation Act committee. The council will name four members, and Mayor Martin J. Walsh will name five. At the center of this debate is the city council, which, in a rare moment of unfettered power, could choose four of the CPA committee’s nine members. Affordable housing advocates want to be a part of the selection process, and they have been pushing the councilors for a say in the committee’s makeup — and eventually, its spending priorities. On Monday, the council is scheduled to hold the first in a series of public hearings to get input on the CPA committee’s composition. So far, councilors have hesitated to commit to the requests of the most vocal affordable housing advocates, united in a coalition called Yes for a Better Boston. Five members of the CPA committee are automatically appointed by state law from boards controlled by Mayor Martin J. Walsh. Separately, the council can choose up to four additional members of the committee, and Campbell says they plan to fill all nine seats. In recent weeks, the coalition has sent a strict criteria to each councilor’s office, including requests that each CPA committee member be a resident of Boston, not be an elected official, and come from a list of 12 nominees personally vetted by Yes for a Better Boston, the CPA advocacy coalition, which includes the Greater Boston Interfaith Organization. GBIO recently flexed its political muscle, holding a CPA-focused rally Feb. 2 that had nearly 1,000 attendees. Every councilor was invited to the rally, the group said. But only three councilors — Campbell, Ayanna Pressley, and Tito Jackson — made it to the forum. In an interview, Campbell said she agreed with a large majority of GBIO’s requests, but said she could not commit to meeting all of the advocate’s demands, at least at this time. 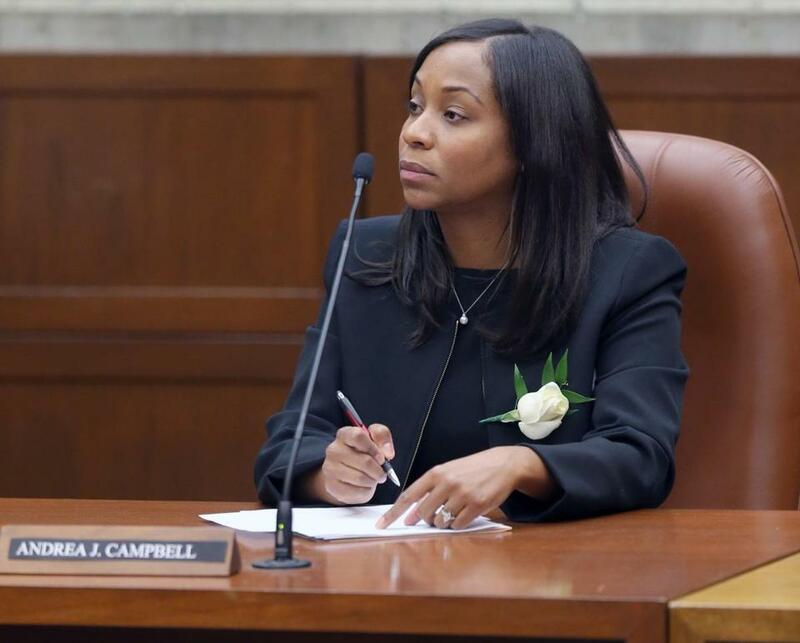 Campbell said she expects to select the Community Preservation Committee within the next month. According to Thomas Callahan, the executive director of Massachusetts Affordable Housing Alliance, another member of the Yes for a Better Boston coalition, advocates have asked elected officials to write in their coalition into the local ordinance that officially creates the committee. This means Yes for a Better Boston, who did much of they organizing to help pass CPA, would be empowered by law to recommend CPA committee members. A sample ordinance with this language has been sent to Campbell, Flaherty, and Walsh’s office, Callahan said. He hopes the elected officials will use this as a template. Flaherty, who will oversee Monday’s hearing, did not respond to requests for comment. CPA was passed with more than 60 percent of Bostonians voting in favor of the property tax increase. The ordinance was heavily backed by most local officials, including all but one member of the council and Walsh. After the ordinance — including CPA committee members — is drafted, the city council will vote on it. Beginning next fiscal year, community members can present projects to the committee, who would disburse the CPA funds as they see fit. Once the committee is created, housing advocates are looking for a commitment that the majority of new money would be used toward affordable housing, not historical preservation or open spaces. The law requires that at least 10 percent of the new revenue be spent in each of the three designated funding areas — affordable housing, historical preservation, or open spaces. The advocates also openly acknowledge that the nearly $20 million dollars from CPA would not solve Boston’s gentrification crisis. In pushing for CPA, they also hope to create incentives so private funders would create more affordable units for Bostonians to rent and own. Dr. Jeanette Callahan, of Bethel AME in Roxbury, says she sees their advocacy as a city-wide call for action that goes beyond the tax. One barrier they must overcome to achieve such success: getting a significant level of buy-in from a diverse array of local elected officials. As several in GBIO noticed, the only attendees at their recent rallywere the city council’s three black members.